Traditionally gas has been flared when it arrives as an unwanted part of an oil production stream. Where regulations permit, flaring gas has long been viewed the easiest way to handle this problem. However, gas flaring is damaging for environmental reasons resulting from emission of Carbon Dioxide and unburnt methane and also risk to health from hydrocarbon liquids and particulate matter entering the atmosphere. As a result, many oil companies are making efforts to get a better handle on both flares and emissions, to try to demonstrate that gas is a cleaner fuel than coal. 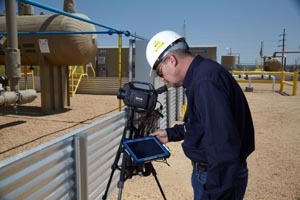 Over the last decade - Optical Gas Imaging (OGI) cameras have been widely used in the oil and gas industry to help find leaks. Traditionally their use was usually followed up with other methods, such as sniffers and ultrasonic devices, to assess the size of the leak. The new quantification technology measures the 2D size of an emitted gas plume, and does a calculation to estimate the volume of the plume in space. Then it uses other data and modelling algorithms to estimate how fast the plume is dispersing into the atmosphere (and by inference how fast gas is going into the plume). 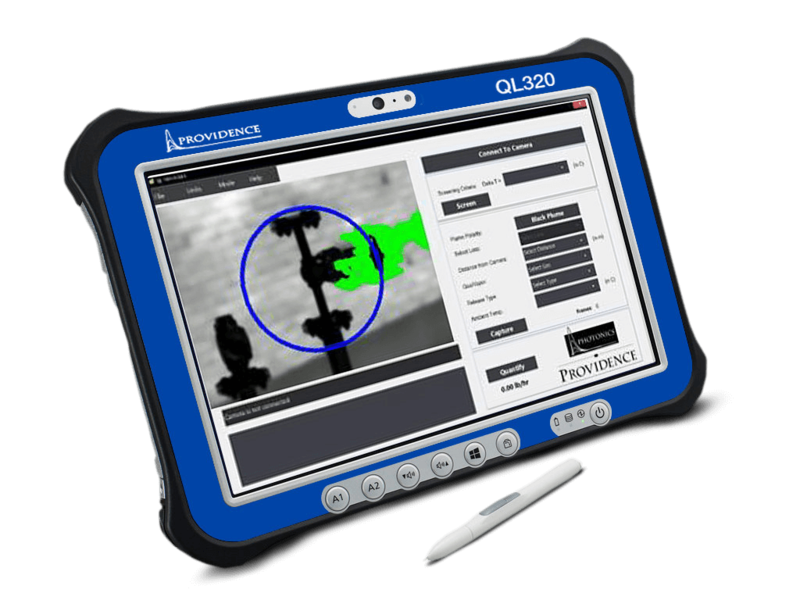 By using Providence Photonics’ QL320™ in conjunction with a FLIR GFx320 or FLIR GF320 OGI camera, oil and gas producers can now measure mass leak rates or volumetric leak rates for most hydrocarbons including methane. on the use of qOGI for quantifying methane leaks and flares from oil and gas operations please visit https://www.flir.co.uk/products/ql320/ or contact FLIR Systems on +32-3665-5100 / gasimaging@flir.com.